Will ports create the next wave of NPAs? Taking note of the recommendation of the Group of States’ Finance Ministers on RCM, it has now proposed to delete the present Section 9 (4) and introduce a new Section 9 (4), which will permit the government, on the recommendations of the GST Council, to notify a specific class of registered persons and goods that would be covered under the RCM provision. While welcoming the change, Anita Rastogi, Indirect Tax Partner at PwC, said till the time GST law gets settled, this provision should not be brought into force. “There are still many areas which need to be addressed for ensuring a smooth GST compliance. We are yet still from it,” Rastogi said. Any manufacturer or trader can opt for the composition scheme, provided his/her turnover is up to ₹1 crore. Also, barring restaurants, no services can be part of the composition scheme. Now based on decision by the GST Council, there is a proposal to raise the threshold to ₹1.5 crore. Also, the demand of industry has been accepted in the proposed amendment where a manufacturer or trader can opt for composition scheme even if they supply services. But there is a condition prescribed that supply of services should not be more that 10 per cent of the total turnover or ₹5 lakh , whichever is lower in the previous financial years. The government proposes five changes and one explanation here. One such proposal talks about providing deeming provision for both goods and services. Deeming provision means the registered person is deemed to have received the goods where the goods are delivered by the supplier to a recipient or any other person on the direction of the said registered person. This definition will be applicable to services. Another amendment proposed is to remove the liability to pay interest in case where the recipient has been made liable to pay an amount equal to the ITC availed in case he fails to pay to the supplier of goods or services or both the amount towards the value of supply along with tax payable thereon within a period of 180 days from the date of issue of invoice by the supplier. MS Mani, Partner at Deloitte India, said, “The expansion of the input tax credit provisions and the beneficial changes in compliance provisions such as issue of consolidated debit/ credit notes, the proposed new return filing process, extension of the bill to ship to concept for goods to cover cases where the recipient of service is different from the payer etc would benefit all businesses”. Despite the changes proposed, experts feel more needs to be done. “Transactions like denial of credit on repair and maintenance, general insurance, etc for motor vehicles, transition of cess credits, and some more may need a revisiting of tax position adopted by some businesses. Also, specific denial of transition of credit of cesses like education cess etc would be against the tax position that some tax payers had taken,” EY India’s Jain said. GANDHINAGAR: After a year of waiting, the Gujarat government finally announced a new scheme for the employment-intensive textile sector, under which a part of the SGST (state goods & services tax) will be reimbursed, in lieu of VAT incentives promised in the Textile Policy 2012. The formal publication of the government resolution (GR) for the textile sector has made it more likely that similar SGST incentives will be announced for other sectors that used to get VAT sops. At present, 2.5% SGST is levied. The textile industry used to get 2.5% of VAT paid. The state government a high-level committee to set incentives under the GST regime, to compensate for VAT incentives promised under the earlier textile policy. A committee chaired by the principal secretary of the industries and mines department was constituted to suggest the modalities of the SGST incentives. The committee submitted its recommendations to the government. After considering the recommendations and the provisions of the GGST Act, 2017 and the GGST Rules, 2017, the government decided to extend SGST incentives in the form of reimbursement under the Gujarat Textiles Policy 2012. Eligible manufacturing units will be eligible for reimbursement of the aggregate of SGST amount paid through cash ledger against output liability of SGST on sale of eligible products/intermediates.The reimbursement will be availed on inputs and input services except ITC (input tax credit) of capital goods. The manufacturing unit shall first have to utilize all the ITC available in its credit ledger maintained on the common portal. Deduction of the incentive amount from the eligible amount granted by the industries commissioner shall be the aggregate of SGST paid through cash ledger against the output liability of SGST on sale of eligible products/intermediates; and SGST ITC of inputs and input services (except lTC of capital goods) used in the production of products/ intermediates sold by the industrial unit within the state and utilized for payment of output SGST liability. Reimbursement will be made by the industries commissioner on a quarterly basis, or as may be otherwise prescribed. India’s apparel exports are estimated to have declined by 17 per cent in the first quarter of FY19 due to a slowdown in demand from developed countries following weak economic activity there. Data compiled by the apex industry body, the Clothing Manufacturers’ Association of India (CMAI), showed India’s apparel exports at $1.35 billion and $1.34 billion in April and May 2018, a decline of 23 per cent and 17 per cent respectively. During FY18, apparel exports from India fell by 4 per cent to $16.72 billion. Starting in June 2017, after the goods and services tax (GST) was implemented, and resulted in the blockage of working capital due to delay in refund of state levies and other mandatory refundable taxes, the slowdown in overseas pick continued till the first quarter of the current fiscal. “India’s overall apparel exports are estimated to have declined by 17 per cent in the quarter between April – June 2018 due to depressed economic conditions-led lower demand and growth. 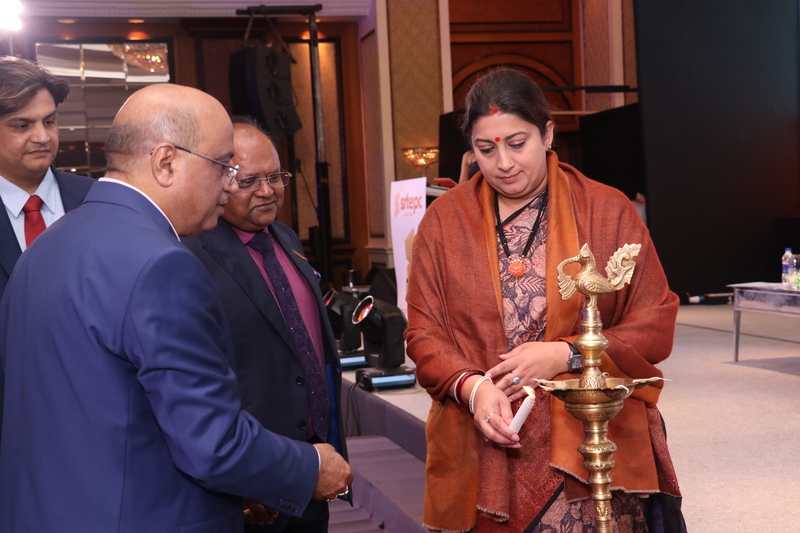 Consequently, Indian domestic market performed better during the first quarter of the current fiscal than the largest consumption regions like United States (23 per cent share in India’s overall apparel exports), European Union (38.4 per cent share) and Japan (1.1 per cent share),” said Rahul Mehta, President, CMAI, while announcing the 67th National Garment Fair, India’s largest apparel trade show, scheduled to be held between July 16-19. India’s domestic apparel market was estimated at $67 billion in 2017 and it has grown at a compounded annual growth rate (CAGR) of 10 per cent since 2005. Owing to strong fundamentals, the domestic apparel market is expected to grow at 11-12 per cent CAGR and reach about $160 billion by 2025. “The introduction of GST has resulted in non-refund of several embedded taxes. Consequently, apparel exports for the financial year 2017-18 posted a decline. The downturn continues in FY 2018-19 with a month on month decline of 10 per cent. The government is seized of the matter and has assured that embedded taxes will be refunded through the drawback route,” said Premal Udani, Managing Director, Kaytee Corporation, one of India’s largest kids' wear exporters. Meanwhile, the apparel industry has raised concerns over the rising import of apparel from Bangladesh, which experts claimed had hit the domestic industry hard. “The imports of textiles and apparel have reported a jump of 16 per cent to touch the highest ever of $7bn for the financial year 2017-18 compared to $6bn. 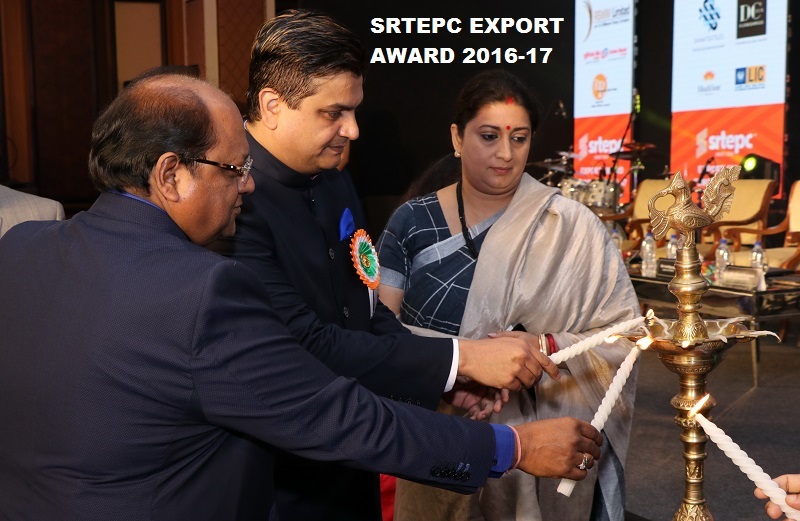 All the categories across the value chain have seen a drastic rise in imports over the last few years,” said Sanjay Jain, Managing Director, TT Ltd and Chairman of the Confederation of Indian Textile Industry (CITI). The Indian rupee revisited 69 levels in the past week, but has managed to recover. The currency made a low of 69.03 on Friday and reversed sharply higher from there. It made a high of 68.48 on Monday and came off from there to close at 68.72, up 0.11 per cent for the week. The US dollar index falling over a per cent in the past week helped the rupee sustain above 69 in the past week. The dollar index made a high of 95.15 in the initial part of the week, but failed to sustain at that level. The index has tumbled from this high and is currently trading at 93.80. The near-term outlook is negative for the index. Resistance is at 94.20, which is likely to cap the upside in the near term. A fall to 93.3, or even 92.8, looks likely in the coming days. Such a fall in the dollar index can retain the rupee above 69 in the coming days. Crude oil prices will, however, need a close watch. Even if the dollar index falls to 93.3 or 92.8, a rise in the oil prices may keep the rupee insulated from the positive impact of a weak dollar. The WTI Crude Oil ($73.5 per barrel) prices has crucial resistances ahead at $75.35 and $76.45. A strong break above $76.45 will pave the way for the next target of $80 and even higher. Such a rally can drag the rupee below 69 towards 70 and 71 levels against the dollar in the coming weeks. But as long as oil remains below $76.45, an intermediate dip to $70 is possible, and it may help in retaining the rupee above 69. Foreign Portfolio Investors (FPIs) ended their prolonged selling streak in the past week. After selling for eleven consecutive weeks – the longest since August 2013, pulling out around $6.5 billion – FPIs turned net buyers of Indian debt last week. They had bought $130 million worth of Indian debt. FPI action in the coming weeks will need a close watch. If they remain net buyers of debt, it may ease the pressure on the rupee. But if the FPIs begin to sell the Indian debt again, it will drag the rupee below 69 in the coming days. Though the rupee is managing to sustain above 69, the price action on the chart indicates that it lacks buying interest to take it decisively higher. Key resistances for the rupee are at 68.30 and then at 68. The currency will gain bullish momentum only if it manages to breach 68 decisively. But a strong break above 68 looks less probable at the moment. A range-bound move between 68 and 69 is possible in the short term. The bias will, however, continue to remain bearish. An eventual break, and a decisive weekly close below 69, will bring back the selling pressure in the currency. In such a scenario, the possibility is high of the rupee tumbling to 70 and 71 levels. New Delhi : India and South Korea have agreed to reduce tariffs on 11 items under an early harvest programme signed between the two sides as part of the on-going negotiations for upgrading the existing Comprehensive Economic Partnership Agreement (CEPA). New Delhi, which is struggling against a growing trade deficit with Korea, managed to keep out certain sensitive items that Seoul had been pushing for such as automobiles, certain grades of steel and some categories of textiles, a government official told BusinessLine. “The South Koreans had offered to include 17 items in the early harvest programme. India, however, was not keen on some items on the list as early lowering of tariffs on the items could hurt the domestic industry. The two sides then settled on 11 items,” the official explained. Addressing a joint business council meeting on Monday, South Korean President Moon Jae-in, who is on a four-day official visit to India, expressed hope that the on-going negotiations for expansion of the bilateral CEPA are concluded soon and stressed that free trade pacts are in the best interest of both India and his country. “Right now, India and Korea are engaged in two negotiations — one on upgrading the CEPA and the other is the RCEP negotiation (with 14 other members including ASEAN and China). Expansion (of trade pacts) is in the best interest of people. We hope the negotiations can be concluded soon,” Jae-in said at a meeting organised by industry body FICCI. India, however, is more careful about expansion because of growing trade deficit with the country since the implementation of the CEPA in January 2010 and has stressed that the CEPA expansion should clearly benefit both countries. India’s trade deficit with South Korea in 2017-18 stood at $12 billion. While India’s exports to South Korea increased insignificantly from $3.72 billion in 2010-11 to $4.46 billion in 2017-18, its imports from South Korea jumped from $10.47 billion in 2010-11 to $16.36 billion in 2017-18. Earlier this year, Commerce Secretary Rita Teaotia had pointed out to a Korean team that widening trade deficit had aroused concern in many quarters and that for long-term sustainability “we will need to work towards a mutually beneficial and a more balanced trade”. “We are committed to raise Korea’s relations with India to the level as those with four major powers around the Korean peninsula. This commitment is embodied in my new southern policy that aims to move beyond economic-cooperation to building prosperous people centric community of peace,” he said. G20 members including India and the US have applied as many as 39 new trade-restrictive measures such as higher duties and taxes as also stricter customs procedures during seven months to mid-May, a WTO report has said. G20 is a group of developed and developing countries which also includes Australia, Brazil, China, France, UK, EU, Germany, Japan, Korea, Russia, South Africa and Turkey. The trade-restrictive measures in G20 economies have doubled compared to the previous review period, the report said"This equates to an average of almost six restrictive measures per month, which is significantly higher than the three measures recorded during the previous review period," the World Trade Organisation said. WTO Director General Roberto Azevedo said the marked increase in such measures among G20 economies should be of "real concern" to the international community. "Additional trade-restrictive measures have been announced in the weeks since this reporting period and therefore the deterioration in trade relations may be even worse than that recorded here," he added. He said this continued escalation poses a "serious threat" to the global trade growth. The report comes against the backdrop of trade wars intensifying globally, led by the US and China, in the past couple of months. Increase in trade restrictive steps is not a good news for India as it would impact exports growth of the country. It is taking several steps to promote the outbound shipments, which helps create employment opportunities, earn foreign exchange and boost economic activities. Since 2011-12, India's exports have been hovering at around USD 300 billion. During 2017-18, the shipments grew by about 10 per cent to USD 303 billion. The report also added that the G20 economies implemented 47 measures to facilitate trade during this review period. These included elimination or cut in tariffs, simplified import and export customs procedures and reduction of import taxes. At an average of almost seven trade-facilitating measures per month, this is marginally higher than the six measures recorded in the previous reporting period (mid-May 2018 to mid-October 2017). Chennai : Even as the country’s banking system is weighed down by stressed assets, the fear that the next round of non-performing assets (NPAs) could emerge from the ports sector is getting real by the day. Large port capacities, especially in the private sector, are not seeing enough demand, causing a significant under-utilisation of assets. “I would share that worry,” admitted Shipping Secretary Gopal Krishna during a recent interaction with BusinessLine. “We are creating over-capacity. Major ports are safe as they do not have exposure to banks and funding is from internal resources. However, there could be pressure among private ports,” he told BusinessLine during a recent interaction. According to data from the India Brand Equity Foundation, only a third of the 187 non-major ports (those with an aggregate capacity of 700 million tonnes) are operational. Worried, the Centre is taking corrective action. Taking a cue from the airline sector, it is mulling a minimum spatial distance between two ports. The lack of such a norm has seen ports come up close to each other, and the competition has hurt their viability. In Tamil Nadu, within a space of 30 km, there are three ports — Chennai, Kamarajar and Katupalli — all vying for cargo from the same hinterland. About 100 km north of Katupalli is the Krishnapatinam port in Andhra Pradesh, which is also tapping the same catchment area. Similarly, in Kerala, the ports of Vallapadam and Vizhinjam are close to each other , and the Centre wants a trans-shipment hub at Colachel, bordering Tamil Nadu. “We will soon initiate talks with maritime States on creating synergies between ports located within a short distance,” said Krishna. “For instance, we have discussed synergies between the Chennai and Kamarajar ports, which are 30 km apart. We will have to see how capacity should be created (rather) than investing blindly.” India’s 7,500 km coastline has 12 major ports (aggregate capacity 1,100 mt) and over 180 non-Major Ports, which come under the purview of State governments. They include the ports of Sikka, Mundra, Pipavav, Dahej, Hazira, Krishnapatnam, Karaikal, Katupalli, Kakinada and Gangavaram. The recent weakness in the Indian rupee has been seen as positive by those who fear that an overvalued currency has made India’s exports uncompetitive. The Indian currency has weakened by about 7 percent since the start of the year. Recent comments from policy makers, suggest that a weaker currency will help rather than hurt the Indian economy. While most economists agree with that view, Axis Bank, in a recent research report, argues that there is no conclusive evidence that exports have been hurt by a strong currency or that a weaker currency will benefit exports. “Global comparisons suggest that effects of trade drive currency rather than vice versa,” wrote Saugata Bhattacharya, chief economist at Axis Bank in a report on Friday. Textiles continue to make up a significant constituent of India’s exports, accounting for $40 billion of a total of $220 billion. Overall, the textile export industry has been stagnating since 2014, having seen contraction in annual growth. However, data released by the U.S. Office of Textiles and Apparel on Indian textile imports, reveals that India has actually not been losing ground to emerging economies, said Axis Bank in its report. India has seen a rise in textile exports to the U.S., albeit a gradual one, while Vietnam’s share has risen most significantly. This performance in textile shipments has little direct correlation with the performance of the currency over this period, said Bhattacharya. Relative to the countries used for the study, India has been one of the major depreciating currencies since 2012. Only the Sri Lankan Rupee has underperformed the Indian Rupee. The Bangladesh Taka has remained strong, as has the Korean Won. The Vietnam Dong has seen intermediate strength and weakness. Compared to the export outcomes, the inescapable conclusion is that the role of currencies in exports is quite weak. Conventionally theory dictates that when a currency depreciates, exports become cheaper and imports become more expensive. Demand for exports responds to the depreciation by rising and current account deficit improves. However, Axis Bank’s research across countries suggests that no causal relationship between a weakening currency and exports. It gives instances of China where the currency has appreciated on the back of strong export growth from 2011 to 2015. The appreciation has not dented the country’s standing as an export powerhouse. In contrast, despite South African Rand’s depreciation since 2010, the country’s share of trade remains steady. The report by Axis Bank further reiterates the importance of exports for India to grow at eight percent annually. While conventional knowledge dictates that a depreciating rupee is likely to boost exports, current evidence fails to support the same. In line with expectations, India’s exports appear to decline, with a lag, when the rupee appreciates. However, this trend is being seen to extend to imports as well. The net effect appears to have been a further decline in the current account deficit, notes the report. In May, scheduled commercial banks posted non-food credit growth of 11.1 per cent; industrial, services, retail and agri credits grew by 1.4 per cent, 21.9 per cent, 18.6 per cent and 6.4 per cent year-on-year, respectively. The services sector continues to outperform for the ninth consecutive month since September, with robust credit growth of around 22 per cent YoY for May while it has been consistently reporting double-digit growth on a YoY basis over the past five months. Owing to this strong growth, share of services in total credit grew to 26.3 per cent in May from 24 per cent a year ago and 25 per cent in December 2017. In this vertical, NBFCs, wholesale trade and professional services continue to witness higher credit demand while shipping, tourism, hotels & restaurants sub-segments continue to contract. Within industrial credit, medium industries’ expansion in credit book continues for the second straight month after a prolonged phase of contraction. A pickup in large industry as well as micro & small industries was relatively slow at 1.5 per cent and 0.2 per cent YoY, respectively. Slower credit demand persists in industrial. The power sector continues to contract in the range of 1-3 per cent YoY and roads shrank at 4.9 per cent. For the first five months of 2018, roads contracted by 6.5 per cent. A few big-ticket size projects have stalled for want of financial closure, thereby reflecting poor credit growth for roads. Overall, industrial grew 1.4 per cent with petroleum, coal products & nuclear fuels at +19.7 per cent YoY and textiles expanded at +5.6 per cent YoY, supporting industrial credit growth. Overall, lackluster activity in industrial credit persists as lack of fresh investments leads to slower credit growth. In the past three years, quantum of total industrial credit remains stagnant at Rs 27 lakh crore. Retail credit continues to expand in the range of 18-20 per cent. In May 2018, credit grew by 19 per cent. In the secured credit category, large-ticket housing credits grew at a faster pace at 23 per cent and in un-secured credits, personal loans & credit cards grew at around 32 per cent YoY. Personal loans now constitute 26.2 per cent of total retail credit from 23.5 per cent in May 2017. Growth momentum in retail credit continues in housing credits; in housing credit (including priority sector lending) and non-priority sector lending housing credit (large-ticket credit) grew at 16 per cent and 23 per cent, respectively. Vehicular credit growth was in the range of 9-11 per cent. Priority sector lending grew 6.2 per cent YoY with agriculture & allied activities and micro & small enterprises comprising a major portion of priority sector lending credit. Private sector banks, such as HDFC, IndusInd and Kotak Mahindra, with a focus on the retail segment would continue to perform better in terms of balance sheet expansion pace, given strong retail credit demand. New Delhi: The government on Tuesday declared its intent to change the base year for calculation of GDP and retail inflation to 2017-18 and 2018 respectively, likely to come to effect by fiscal 2019-20. The previous base year revision for gross domestic product (GDP), the index of industrial production (IIP) and the consumer price index (CPI), or retail inflation was revised to 2011-12 and 2012, respectively, Statistics and Programme Implementation Minister Sadananda Gowda told reporters here while briefing about the ministry's achievements in the last four years. "The revisions facilitated more accurate assessment of the progress of the economy and the society. Steps are being initiated for the next round of revision also, for GDP we would like to revise the base year to 2017-18 and base year for consumer retail inflation to 2018," he said. "These principles are aimed at promoting good practices and professional ethics in production and dissemination of official statistics," he added. He made a similar announcement in February this year also. That time, Mr Gowda said that his ministry intends to undertake several initiatives during financial year 2018-19 "to further improve statistical system to meet the data requirements in the emerging socio-economic scenario of the country." He said the ministry was "proposing to initiate steps to revise the base years of GDP, IIP and CPI". The new base year for GDP and IIP will be 2017-18 and for CPI, it will be 2018. At present, 2011-12 is used as the base year for calculating the GDP. The two projects in Rajasthan that are facing delay are the Khushkhera-Bhiwadi-Neemrana Investment Region & the Jodhpur-Pali-Marwar industrial area—were to come up over 160 sq km and 155 sq km, respectively & change the urban landscape of the state. Nearly seven years after the Cabinet cleared a proposal to build the $100-billion Delhi-Mumbai Industrial Corridor (DMIC), the country’s biggest infrastructure project, land for at least two of the initially-conceived eight nodes —or centres of industrial production — that run though Rajasthan hasn’t yet been acquired by the state, casting a shadow over their development anytime soon. Sources told FE the Japan International Cooperation Agency (JICA), which had committed $4.5 billion for the DMIC, hasn’t yet invested in any of the projects despite having shown “interest” in developing two metros-—one in Haryana and the other in Gujarat—for two years now. Thanks to slow progress in planning for the projects in initial years, DMICDC could lease out the first chunk of land developed by it to companies in only 2017 (at Shendra-Bidkin in Maharashtra). In fact, after the idea of the corridor was first mooted in 2007, it took around four years for the Cabinet approval to come in 2011. The planning part for these nodes took another 3-4 years to be over and DMIC hardly had anything substantial to show on ground until 2014-15, said analysts. In an interview to Governance Now in 2013, DMICDC’s former chief executive Amitabh Kant had said the first phase of various projects would be ready by 2019. If that was the intended goal initially, the pace of development for most part of the corridor’s history has been far from encouraging. Nevertheless, the initial phase of work in six of the eight nodes—at Dholera (Gujarat), Shendra-Bidkin (Maharashtra), VikramUdyogpuri (Madhya Pradesh), Nangal Choudhary (Haryana), Greater Noida (Uttar Pradesh) with deadlines between 2019 and 2022 — will be completed on time, asserted DMICDC chief executive Alkesh Kumar Sharma. The 2019 deadline for another project — setting up Asia’s biggest exhibition and convention centre at Dwarka in Delhi—will also be met, Sharma told FE. The Dwaka centre isn’t directly a part of the DMIC projects but DMICDC is its knowldedge partner and is overseeing its progress. Asked about the delay in Rajasthan projects, Sharma, who took over the reins of DMICDC in October 2015, said: “DMICDC starts work on developing land only after the state acquires and hands over the land for the project. Without land, no development is possible.” He, however, added that new cities in India have taken decades to develop into what they are today. The DMIC project was conceptualised to be developed in phases. Out of the total 24 investment nodes, eight nodes have been taken up for development as industrial cities under the first phase. The two projects in Rajasthan that are facing delay–the Khushkhera- Bhiwadi- Neemrana Investment Region and the Jodhpur-Pali-Marwar industrial area—were to come up over 160 sq km and 155 sq km, respectively, and change the urban landscape of the state. The Khuskhera project aims create a world-class city and the other, too, envisages industry as the main driver of economic development and employment. Since land is yet to be acquired, costs of these projects are yet to be worked out. Uncertainties loom over the development beyond the initial 22.5 sq km area in Dholera, as some farmers opposing land sales have approached the Gujarat High Court. According to the model adopted by the DMICDC, states are required to offer land, while the centre releases funds matching the land’s worth for its development. Once the land is developed, it is allotted to willing investors for a price and with those funds, DMICDC acquires another chunk of land and start developing it. Until the state concerned offers land for a project, the centre doesn’t release its share of funds to the DMICDC either. The central government has already approved Rs 15,000 crore for various DMIC projects, while states concerned have contributed land worth the same amount. Usually, DMICDC joins hands with entities of the state governments concerned to form special purpose vehicles, which are the anchors of projects in their respective states. Despite the delay, some analysts say considering Indian standards, where infrstructure projects take years to complete even after all the approvals are in place, the DMIC projects have done relatively fine, more so in recent years. Manish Agarwal, partner (infrastructure) at PwC, said now that land is developed in some projects, the next challenge will be to find investors, he added. The Dwarka centre has potential to attract private investments, as “we don’t have any such centre of this scale in India”. An official source told FE that interest among investors–both foreign and domestic–for DMICDC projects is growing. For instance, the development of a logistics hub at Nangal Choudhary in Haryana along the DMIC could start towards the end of 2018 but major players like DP World, Merc Logistics and Future Group have already explored opportunities to be partners. The hub will be set up over an area of 1,100 acres to provide “end-to-end logistics facilities”. At Shendra, South Korean company Hyosung recently said it will be investing Rs 3,400 cror crore in a textile manufacturing unit. However, finding investors for all the projects is still a difficult task. With an envisaged investment of $100 billion by 2040, the 1504-km DMIC across six states was intended to be developed as a ‘global manufacturing and trading hub’. The project was one of the important measures announced by the government to help drive the share of manufacturing in the country’s GDP to 25% by 2022 from roughly 16% now. A common belief while the rupee depreciates against the dollar is that it would help our exports. This ‘weak rupee shall help exports’ is shown as a positive over various negatives arising out of falling rupee. There is great attractiveness in this argument supported by textbook economics. Undervalued or depreciated currency acts as a direct subsidy for exports while acting as a punitive tax on imports. China used the undervaluation of currency as an effective international trade tool for decades. The undervaluation doesn’t fall foul with the regional or multilateral agreements in the way export subsidies do. However, given India’s situation, it is doubtful if we can have an effective control on the level of rupee any more given that the the central bank’s mandate is anchored to inflation control. Till recently there were calls to depreciate the rupee through direct intervention to help exports. Thankfully the idea is now put on the back-burner as the rupee has slid on its own, mostly due to the factors originating abroad. In addition, one can never predict an appropriate level. A rupee at the level of 60 against the dollar might be very competitive for services exports, while it may still be dear at 70 for manufacturing sector. However, a mere weakening of the rupee might not be enough to boost exports, at least not in a significant way when it comes to the manufacturing sector due to three possible phenomena discussed here. First, India is no longer an isolated market and our exports are tightly linked to imports through twin mechanisms of input import dependence and global value chains. The inputs for two of our leading exports, petroleum and derived products and gems and jewellery, originate abroad. Crude, rough diamonds, and gold are imported to make these export products. A significant part of our non-petroleum, non-jewellery based manufacturing exports are tightly linked to the global value chains. We import various steel products, automobile parts, engineering and electronic components that are processed and assembled before getting exported. Except raw material, primary forms and agricultural exports, we have few items where the origin is fully Indian. Given this scenario, any depreciation of our currency works both ways. The gain would be only to the extent of value addition that happens in India. Second, there appears to exist a counter-intuitive effect of weak local currency not helping exports that arises due to the choice of invoicing currency (Gopinath, 2015). Almost all our exports are invoiced in international currencies such as dollar, euro or pounds. Assume a case where the price of a certain export good is agreed at $100 for the coming quarter. The goods are invoiced at this price in dollars for all shipments for the quarter. If the rupee weakens meanwhile, this invoicing method would lead to windfall profits for unhedged exporters during the period (and commensurate pain if it strengthens), but it does nothing to change the underlying competitiveness. An item, which was invoiced at $100 earlier, remains at that level in international markets even after the weakening of rupee, unless the terms are renegotiated between the exporter and buyer for the quarter. It is seen from the study that the weak exchange rate effect may take up to two years (http://www.nber.org/papers/w21646.pdf) to trickle down into the local non-invoicing currency. This time zone while prices are renegotiated is the profit zone for Indian exporters. The process of renegotiation and adjustments is a medium- to long-term process and therefore we don’t see an immediate terms-of-trade advantage despite a fall in the rupee value. There is no change in the level of attractiveness of sourcing from India for an international buyer. Therefore, it doesn’t boost exports in terms of quantity or exports in dollar terms. Only value of exports in terms of rupee shoots up to the extent of depreciation while the effect lasts. The invoicing of international trade in foreign currency is therefore a disadvantage for us, as it doesn’t let our competitiveness improve automatically and immediately upon the depreciation of the rupee. Unless the exporter consciously uses the windfall to mark down the prices, or uses it to boost productivity, there’s not much hope. However, arising out of the same study, there are further two negatives possible. First, the import costs shoot up almost immediately as the invoicing is done in foreign currency which now needs more rupees to buy. This leads to inflationary pressure arising out of inelastic imports such as crude for a country like India. Second, it adds to the cost of inputs that go into export products in the value chain, thus eroding margins. There is nothing much we can do about the way the trade invoicing is done in foreign currency. Third, there are also doubts about correlation between a weak rupee and manufacturing exports. It was found that a fall in the value of rupee didn’t lead to an expected commensurate gain in manufacturing exports during the period 2004-2012. This weakness in the correlation between a weakening rupee and increase in manufacturing exports may be an outcome of combination of factors, including the integration into global value chains which makes the exports dependent on imports. As the sensitivity to exchange movement is faster on imports, and slower on exports, the weak correlation is not a surprise. At least the Indian experience attests to it. In short, one cannot rely on a weak rupee alone to boost exports. We need to look beyond at structural factors and take a sectoral approach to boost competitiveness if the aim is to improve export performance. The Centre has taken various steps in this direction, significant among them being the collaboration with the State governments in order to take a micro sectoral approach at the level of clusters and districts. While the steps produce results, we may discount the expectation of a weak rupee boosting exports. The recent increase in the minimum support price (MSP) for cotton, ahead of the start of kharif harvesting season from October, is expected to benefit farmers. Higher prices may incentivise farmers to increase cotton sowing. While the move is a positive development for cotton farmers, it holds a mixed bag for the domestic textile companies, say sector analysts. On July 4, the cabinet committee on economic affairs (CCEA) approved an increase in MSPs for kharif crops for 2018-19, bringing into effect a proposal announced in the budget 2018-19. The government had promised at least 1.5 times the cost of production to farmers. The Confederation of Indian Textile Industry (CITI) said the cotton MSP hike would make local fibre relatively expensive compared with international prices and inflate cotton products’ prices. CITI has urged the Centre to establish a delivery mechanism for the industry to procure raw material at reasonable prices. Icra, on its parts, said the revision is likely to keep working capital requirements high and would warrant a sustained calibration in pricing for end-products, amid an upward shift in cost trajectory. Nevertheless, increased clarity on price floor mitigates the risks emanating from sharp volatility in cotton prices, as witnessed in the past. In fact, it’s expected to support profitability of spinners, particularly the well-stocked ones, in Q2FY19 by keeping yarn prices firm vis-à-vis their raw material-carrying cost. While hailing the MSP increase, the Southern India Mills’ Association (SIMA) emphasised the need for price stabilisation fund scheme and a technology mission on cotton in a revised format to double the income of cotton farmers and grow the business of industry as well. “Cotton productivity has stagnated at 500-550 kg per hectare against over 1,500 kg per hectare achieved by over 20 countries. Australia for instance, has achieved productivity of 2,200 kg per hectare. Also, the quality of Indian cotton is much inferior compared with imported fibre, affecting both farmers and industry,” said P Nataraj, SIMA chairman. In the recent years, it has been witnessed that Indian cotton MSP acts as a price floor for the global fibre as well, given India’s status as the largest producer and the second largest consumer. Accordingly, higher prices are expected to support output, not just in India but also across the world. Increase in output becomes increasingly relevant amid rising concerns on the global demand-supply situation, with a sharp increase in import demand from China likely over two-three years. At least that’s what a recent Icra study suggested. “The announcement is unlikely to have any immediate impact on cotton prices as expectations of an increase in MSP had already been captured in cotton’s market prices over the past few months. As a result, the cotton is trading at higher than the new price floor,” said Jayanta Roy, senior vice-president and group head (corporate sector ratings), Icra. Interestingly, from 2009-10 to 2017-18, MSP has been increased by Rs 1,320 per quintal and in 2018-19 it has been raised by Rs 1,130 per quintal. The impact is huge and possibly unprecedented. Although, China has imposed an additional 25 per cent import duty on American cotton and the rupee has also depreciated against the dollar, still cotton and yarn would face headwinds, a section of the analysts said. Roy said start of cotton harvest season in October is typically accompanied by the softening of prices seen during April-September. But the decline in cotton (lint) prices last year had been curbed by the then prevailing price floor of Rs 105 per kg, which acted as a resistance level, keeping rates above that level. Accordingly, after declining by 12 per cent from Rs 118 per kg to Rs 105 per kg in September-November 2017, a rebound in prices to pre-harvest levels was seen, with the rates demonstrating a further upward bias and trading at Rs 120 per kg during the 4-month period ending April amid expectations of an increase in MSP. Delhi-based knitwear and garment maker, TT Ltd plans to exit the spinning business and focus on garment manufacturing. TT reported a near-25 per cent dip in turnover at ₹511 crore and also posted a net loss of ₹15 crore in 2017-18. The company has a strong presence in the innerwear segment in North and East India through its flagship TT brand. It also exports yarn and fabric to 65-odd countries. According to Sanjay Jain, Managing Director, TT Ltd, the company has already shut three of its five spinning units due to the low margin and high risks associated with the sector. “We will exit the spinning business,” he said. Jain attributed the loss in the last fiscal to the “ongoing restructuring exercise” and tax-related issues. “This fiscal we will be back in the black. We will also focus on high value-added offerings through our garment range,” he told BusinessLine. 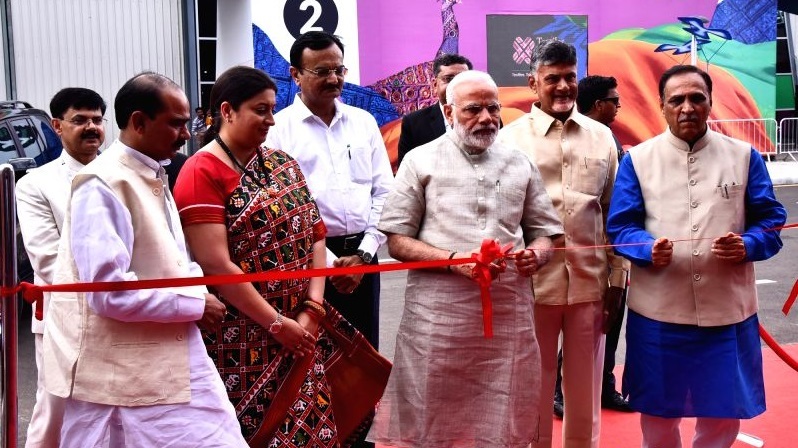 TT will invest around ₹50 crore to set up garment-making facilities in Uttar Pradesh, Howrah (West Bengal) and also ramp up existing units in UP, Tiruppur (Tamil Nadu) and Kolkata (West Bengal). The unit in UP is likely to go on stream from July 18. “It will take some 2-3 months for the unit to stablise.” The company also procures from third-party manufacturers in Ludhiana and Delhi. As part of TT’s diversification plan, it had set up garment brand ‘HiFlyer’ in 2017. The brand is now being retailed through both offline and online channels. Expansion will be through a network of exclusive brand outlets (EBOs) and mutli-brand outlets. The EBOs, being set up in the franchisee model, will be branded ‘TTbazaar’, and will mostly be neighbourhood stores. TT already has 50 such standalone outlets, most of them franchisee stores. The company also intends to expand its presence through its online portal ttbazaar.com. 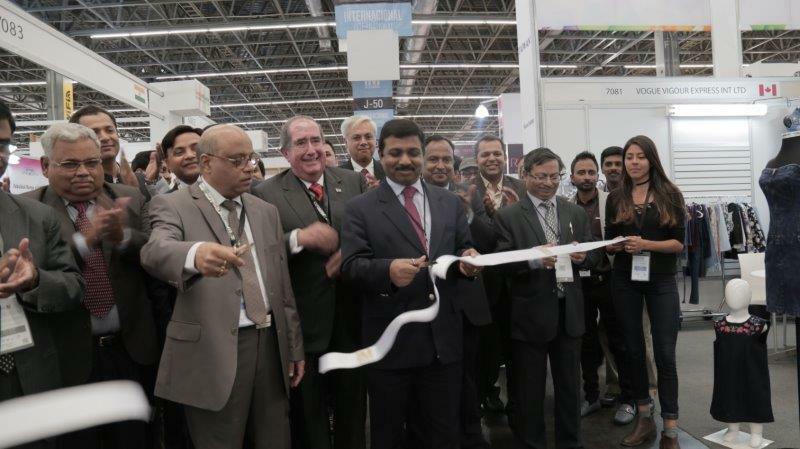 The second edition of Global Textile Technology and Engineering Show will be held in Mumbai from January 18 to 20 next year. 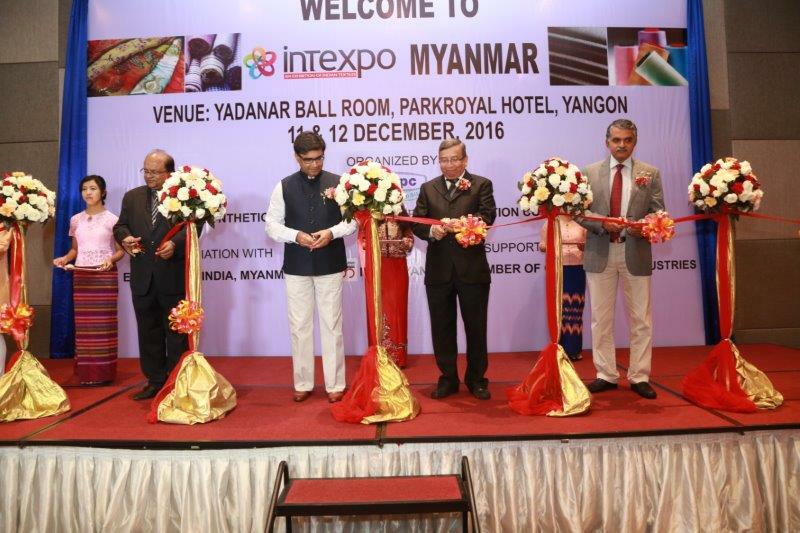 According to a press release, the event by India ITME Society is supported by all the major textile export promotion councils. Business-to-business meetings will be organised with delegates from Ethiopia, Ghana, Botswana, South Africa, Tanzania, Benin, Togo, and South Sudan on January 18. 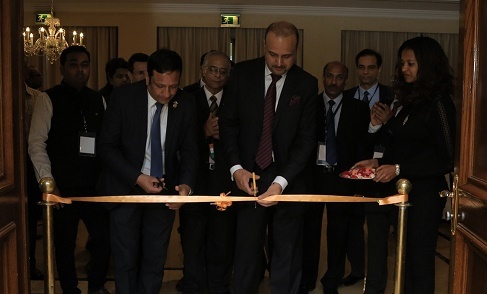 Hari Shankar, chairman of India ITME Society, urged the technical textiles, apparel, and weaving units in this region, including Coimbatore, Erode, and Tirupur to take part in the show. 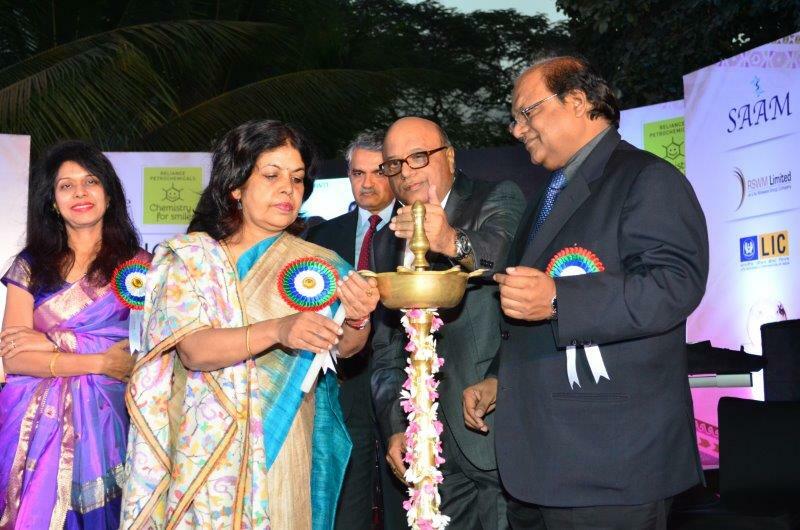 A conference on technology innovation in textile colouration and an international conference on non-woven technical textiles will be held on January 19 and 20 respectively as part of the event. 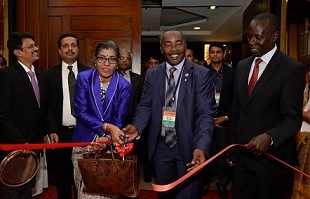 Textile machinery and accessories manufacturers can interact with delegates from African, south Asian, and Asian countries apart from the visitors from textile clusters across the country. 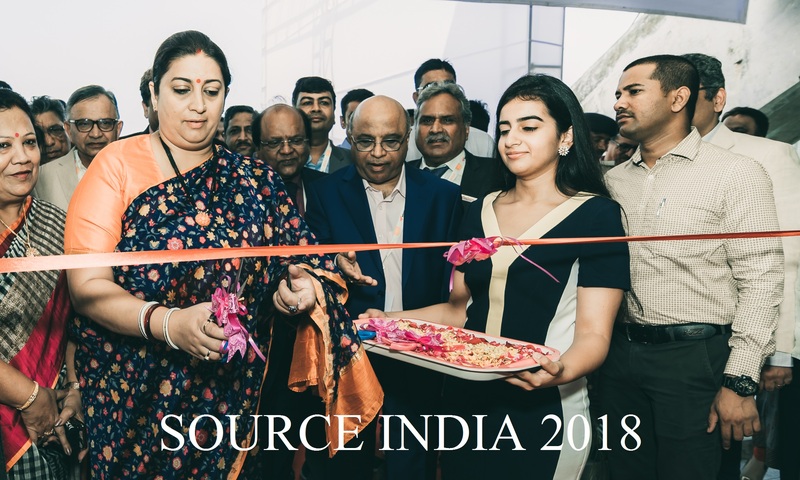 Machinery, accessories, and solutions will be displayed in 13 major categories, spread across the textile value chain, including engineering technology, the release added. Local industrialists are losing both money and business, thanks to the apathy of the administration towards setting up an exhibition centre in the industrial hub of the state. The proposed exhibition centre on 9 acres opposite Vardhman Industries has been hanging fire for a ling time. 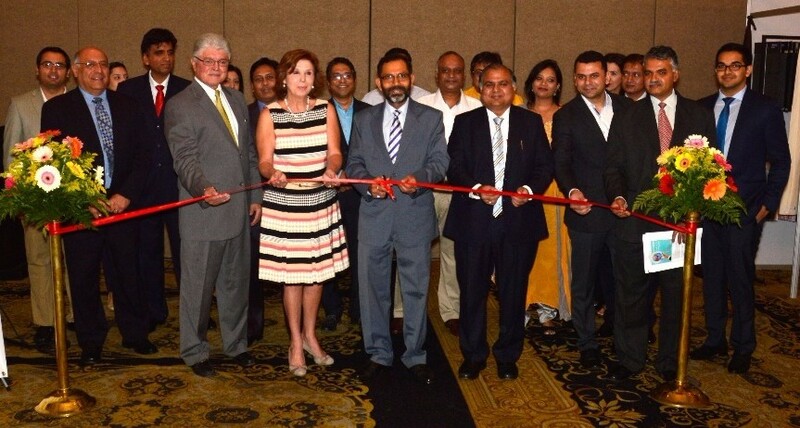 The Ludhiana Woollen Manufacturing Association has booked 124 rooms in a leading hotel here for a four-day exhibition for which buyers from all over the country have been invited. It will cost the association about Rs 25 lakh. The expenses could have been much less had there been an exhibition centre in the city. “Had there been a good exhibition centre in the industrial capital of the state, things would have been different. We would be earning huge profits as we could hold exhibitions for all products, ranging from woollens and textiles to T-shirts. But because of space constraints, we hold just the woollen exhibition,” said Chairman of Ludhiana Woollen Manufacturing Association Sanju Dhir while talking to The Tribune. 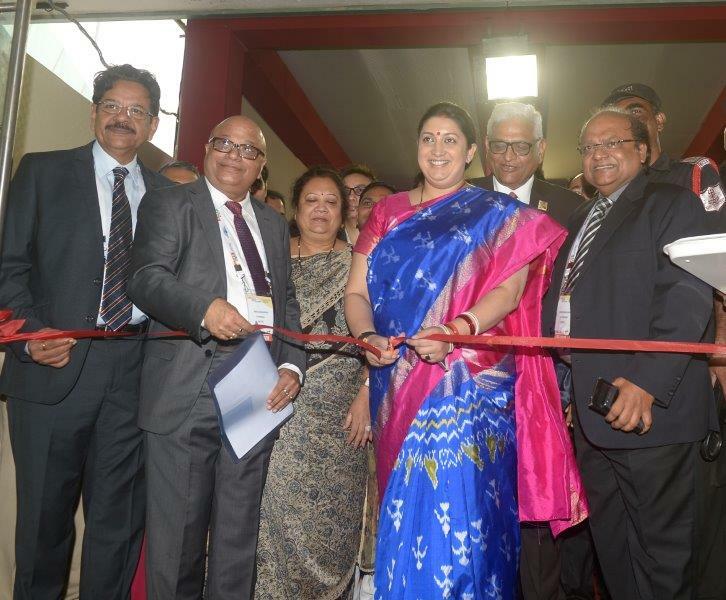 The manufacturers said it was a long-pending demand of the local industry to have an exhibition centre in the city. But there has been no progress in this direction to date. The leaders claim to have got land for the purpose but mere land is of no use to us, say the industrialists. The general secretary of the association, Sandeep Dhir, said leaders made tall claims before coming to power but once they are elected, they never make efforts to fulfil their promises. “We are getting very good response here. Had there been an exhibition centre with all facilities, we would have got plenty of orders,” he said. Note: The above prices are Chinese Price (1 CNY = 0.15052 USD dtd. 9/7/2018). The prices given above are as quoted from Global Textiles.com. SRTEPC is not responsible for the correctness of the same. CAPE TOWN -- Thousands of workers in the textile industry downed tools on Monday, worsening labor tension in South Africa that is already reeling under a fresh spate of strikes. The strike commenced at 10 a.m. with thousands of footwear workers joining the strike demanding wage increase, according to the Southern African Clothing & Textile Workers' Union (SACTWU). The union commenced a national strike ballot in the footwear manufacturing sector last Monday. This secret ballot was completed on Friday and 86 percent of union members voted in favor of the strike action, the union said. "The issue in dispute is the employers' final wage offer of 6.25 percent, which has been rejected by our members. We demand a 9.5-percent package increase," SACTWU General Secretary Andre Kriel said. The strike has shut down most footwear factories, according to Kriel. "We are determined to decisively execute this firm mandate to strike, in pursuit of our demand for a living wage in the footwear sector," he said. South Africa has been hit by one strike after another recently. A massive strike by workers at electricity utility Eskom has been going on for weeks with no sign of subsiding. The strike shut down seven power stations, prompting Eskom to implement load shedding that left many parts of the country in darkness. The Department of Labor has warned that frequent strikes are harming the economy and the labor force. Pakistan's next government, to be chosen in a July 25 election, faces growing fears of a balance of payments crisis with speculation it will have to seek its second IMF bailout in five years, analysts say. The central bank is running down its foreign reserves and devaluing the currency in a bid to bridge a yawning trade deficit, and the winners of the July 25 election will have "limited time" to act, Fitch ratings agency said on July 2. Together, the economic challenges are "horrendous", said Dr Ashfaq Hassan, an analyst and former financial advisor to Pakistan government. "The most important (challenge) will be how to protect Pakistan's balance of payments, how to build Pakistan's foreign exchange reserves and how to fix its fiscal position," he told AFP. Plagued for years by militancy, Pakistan - a rapidly growing country of some 207 million people - has been battling to get its shaky economy back on track and end a years-long chronic energy crisis that has crippled industry. Confidence had grown slightly in recent years, with security improving and the IMF claiming in October last year that the country had emerged from crisis after completing its post-2013 bailout programme. The previous government of former prime minister Nawaz Sharif attempted to ease the power shortages, enact structural reforms and improve the creaky infrastructure which previously hampered growth. China has also made progress on an ambitious multi-billion dollar infrastructure project - the China-Pakistan Economic Corridor (CPEC) - linking its western province of Xinjiang to the Arabian Sea via Pakistan. But growth has not been as fast as many hoped. The economy grew by 5.8 per cent during 2017-18, its fastest since 2005 but still missing a government target by 0.2 per cent. And the deficit is widening. Pakistan, which has historically relied on imports, has increased its procurement of materials to help build CPEC projects while also suffering from higher oil prices. Its meagre exports such as textiles, meanwhile, have been hit as cheaper Chinese-produced goods flood the markets. Foreign remittances have not been enough to plug the gap. Amid stability fears the caretaker government pledged in June to stem the current account deficit with rapidly dwindling foreign reserves. According the State Bank of Pakistan, the country's reserves plunged to $9.6 billion on June 22 from $16 billion on April 17. "We have to finance this gap of the trade deficit of $25 billion by depleting our reserves. There is no other option," caretaker Finance Minister Shamshad Akhtar, installed last month, told a press conference. "This is a major worry which our government is facing." The announcement came hours after the central bank devalued the rupee by 3.7 per cent, the third devaluation since December and representing a cumulative 13 per cent against the US dollar, according to Fitch. The agency said the move has eased some pressure on reserves - but "their magnitude so far has not been sufficient to prevent external finances deteriorating more sharply than we expected".Economic analyst Dr Salman Shah told AFP that Islamabad would have to seek help from friendly countries or negotiate a fresh bail-out package from the IMF. "It would be very tough for the next government to deal with all those challenges... it would have to undertake wide-ranging and deep-rooted reforms in all sectors linked to the economy," he said. But Shah, also a former economic advisor to government, said that though the task was huge projects such as CPEC meant there was hope long-term. Still, there is an undercurrent of growing unease. The terms of the massive CPEC deals are shrouded in secrecy, raising concerns about Pakistan's ability to repay Beijing's investment. Finance ministry officials were unable to immediately confirm multiple reports that Pakistan is seeking Chinese loans to pay off the debts it incurs as it imports CPEC materials. The Washington-based IMF has bailed out Pakistan before, with an $11.3 billion loan package in 2008 to stave off a balance of payments crisis in a deal Islamabad abandoned in 2011. The country received a second $6.7 billion bailout package in 2013. In 2016 the IMF said Pakistan had emerged from crisis, though a review one year later noted that it was facing "important near-term challenges".Fitch predicted the fiscal deficit could rise to around six per cent of GDP this year, warning: "The government is becoming increasingly reliant on external borrowing - particularly from Chinese policy banks." The borrowing will help, the agency said - but with rising debt-servicing payments to start in 2019 there is little room for the next government to maneouvre. A non-traditional export destination for Bangladesh, Japan is the only country in Asia from whom export earnings crossed the $1 billion mark in FY17, also having crossed the threshold in FY 16 Japan has emerged as a potential export market for Bangladesh in the Asian region, as export earnings from the country have seen an 11.73% rise to $1.13 billion in FY18. A non-traditional export destination for Bangladesh, Japan is the only country in Asia from whom export earnings crossed the $1 billion mark in FY17, also having crossed the threshold in FY 16, according to data from the Export Promotion Bureau (EPB). Of the $1.13 billion earned from exports to Japan in FY18, $846.73 million or 74.8% came from the RMG sector. This amounts to a 13.73% increase in RMG exports to the country as compared to FY17. Economists and experts from the business community have said that the increase in exports to Japan is a result of Japan’s China-plus-one sourcing priority, as well as improvements in safety and product quality in Bangladesh’s RMG sector. “Japanese buyers are very conscious of product quality and compliance with regulations in the production process. As manufacturers have improved in both these areas, exports have seen a jump,” Exporters Association of Bangladesh (EAB) President Abdus Salam Murshedy told the Dhaka Tribune. “Aside from traditional markets, Japan is one of the countries in the Asian region with the highest export potential, as it has a huge amount of disposable income,” he added. Meanwhile, Centre for Policy Dialogue (CPD) Research Director Khondaker Golam Moazzem said: “Japan is looking for a China-plus-one sourcing hub. As Bangladesh is doing better in recent times, they are importing from Bangladesh. The exchange rate was stable in Japan and the price of the US dollar had less of an impact on their imports.” “In terms of compliance with regulations and quality, Japan has very high standards. 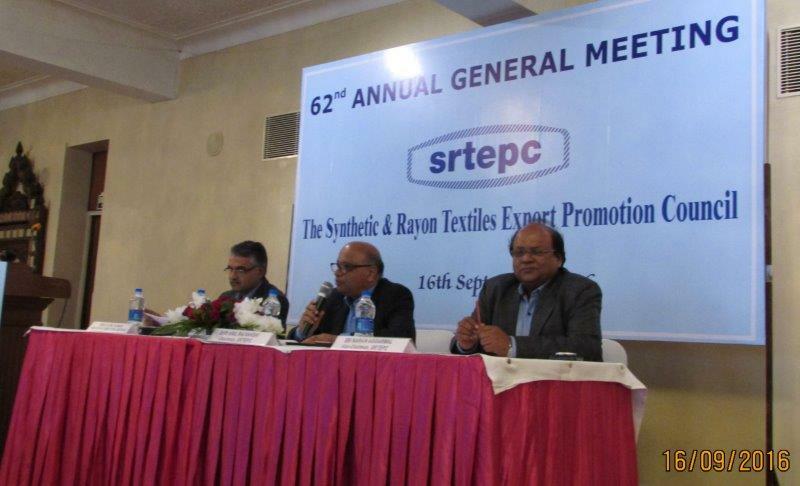 If Bangladesh can maintain these high standards, export earnings from the country will continue to grow,” he added. The CPD research director further said that Bangladesh needed to diversify its export markets and ensure that export earnings from more countries crossed the $1 billion mark. An opportunity to move to value added products Japan prefers high quality and value added products, and focusing on the market would pave the way for Bangladeshi manufacturers to build relationships with other buyers of high-end and value added products. “In exporting goods to the Japanese market, a manufacturer has to habituate themselves with the trend and pattern of their demands. In the long term, this means the manufacturer will ultimately move towards high-end and value added products,” said EAB President Salam, who is also the Managing Director of Envoy Textiles. CPD Research Director Moazzem said: “Japan has very high demand for non-cotton products. To grab the market, Bangladesh has to concentrate on non-cotton products, and it helps that we already have a strong base in this area.” The economist added that Bangladesh is yet to tap the full potential of the Japanese market, as manufacturers have been unwilling to take small work orders. He suggested the creation of new items for the Japanese market, and also urged steps to increase Bangladesh’s commercial relationship with the country. China's development cooperation has long been an important part of its relationship with Ethiopia, which started soon after the establishment of diplomatic relations in 1970. Complete projects have been the main form of China's development efforts in Ethiopia. China has supported Ethiopia in constructing dozens of projects, including highway interchanges and energy stations. China also provided food, tents and medicine when Ethiopia suffered from a massive drought in 2011. In the technical cooperation area, China has dispatched agricultural and health experts to provide technical guidance to local people. In addition, China has run seminars and training programs for government officials and technical personnel, and provided scholarships for Ethiopian students. Economic cooperation and trade made steady progress, with bilateral trade continuing to expand. Chinese companies were actively involved in Ethiopia's Growth and Transformation Plan, and progress was achieved in mutually beneficial cooperation. Ethiopia-related projects under the framework of the Forum on China-Africa Cooperation were implemented step by step. Still, geopolitical risk is potentially increasing and Ethiopia's business climate is relatively poor. Additionally, the African nation's currency is often volatile. Influenced by falling commodity prices, the value of coffee exports and other agriculture products has decreased. Widening trade deficits influence the nation's ability to pay back debt. According to data from the IMF and World Bank, Ethiopia has faced challenges in meeting its debt payments since 2017, leading to increasing debt distress. Furthermore, Ethiopia is short of specialized technicians, notably those in the pharmaceutical industry. Companies need to repay the educational costs of those they want to hire; otherwise, those people are required to work for state agencies first. There are not enough skilled industrial staff, so Chinese companies need to train them first, not only in terms of skills but also in work behavior. Based on the existing road, bridge and railway programs between China and Ethiopia, the two governments should support cooperation in the area of transportation, boosting railway operations and management capability in Ethiopia. This effort could include helping Ethiopia to build a state-level transportation university that will focus on training senior engineers and promoting technological innovation in rail transit and bridge engineering. The two countries should establish small-scale railway training centers in the cities along the Addis Ababa-Djibouti Railway, combining the practice of railway management with the training of skilled workers in operations. Regarding energy and electricity, the two states should utilize interest-free loans and concessional loans to support the renovation and upgrading of the grid, which would increase the electricity supply of industrial zones and surrounding areas. China should work with Ethiopia in technological cooperation, improving Ethiopian industrial-zone policies, as well as investment and trade policies. China can encourage officers from the Ethiopian Investment Agency and Industrial Parks Development Corporation of Ethiopia to come to China and study its experience of developing industrial zones. Participation in those programs should be extended to middle- and lower-level government officials. Also, experts who work on Chinese economic reform can go to Ethiopia and meet with the Ethiopian Investment Agency to discuss policies related to attracting foreign investment. Aid programs should be specialized in particular areas like promoting trade and supporting academic exchanges in customs, tax, inspection and quarantine procedures. Such programs can further enhance the understanding of export policies and regulations in both nations, which will help reduce non-tariff barriers such as miscommunication and problematic business environments. Chinese WTO researchers and regional trade dealers can go to Ethiopia to help Ethiopia start capacity-building and training programs in the rules of international trade. Also, China could design human resources development programs based on various factors. Considering the advantages of the cheap labor force in Ethiopia, we suggest that China should renovate or build state-level vocational schools. It should design the categories of training in those schools and open courses related to textiles and light industry, mechanical engineering, auto repair, and architectural engineering, which will target preferred development areas and meet demand for labor. Academic programs should invest more in mathematical and engineering majors based on the Chinese educational advantages in these majors. The programs should cultivate international students, mainly senior engineers and technicians, who understand the technical standards of China and can look at issues with a Chinese perspective. We also suggest that China should work with Ethiopian universities and think tanks in conducting research. China should also encourage Ethiopian professors, mainly those who work in mathematics and engineering, to come to China for further study. Last year, then Education CS Fred Matiang’i ordered all schools to paint their buses yellow for better management. Most schools have complied with the directive. Education PS Belio Kipsang said they are in discussion with stakeholders to change the uniform policy for schools to adopt the same colour and fabric. He wants local textile industries like Rivatex in Eldoret to prepare to make the new uniforms once the policy is adopted. Kipsang spoke on Saturday at Rivatex, which is owned by Moi University. He lauded the university for its foresight in the revival of the textile company that had collapsed. “Initially, we thought it would be a training facility for the university, but later on it became a production company. Now it is turning out to be a major economic project for the country,” he said. Kipsang said the government would continue investing more in an institution like Moi University since it plays a critical role in providing manpower to spur economic growth. “We want the educational institutions to play a role in helping us to implement the Big Four agenda as outlined by President Uhuru Kenyatta,” the PS said. At the same time, a Kenya National Union of Teachers official has faulted a proposal by the Teachers Service Commission to sack or demote headteachers whose schools perform poorly in national examinations. Busia Knut organising secretary Mark Oseno told the Star it is illegal and unprofessional because the performance of schools cannot be pegged on the work of principals. He said the commission should stop issuing policies, guidelines and proposals that cannot work. “Headteachers play the role of management. Parents, students ts and even leaders have a bigger role to play in how schools perform,” Oseno said.